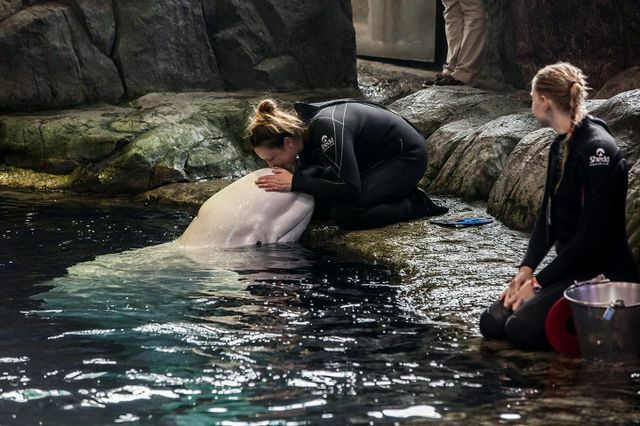 For more than two decades, zoological facilities in North America have cooperatively managed beluga whales in professional human care. This collaboration has resulted in numerous calves being born while maximizing genetic diversity, an important aspect of a healthy, sustainable population. To support this science-based management strategy, an adult male beluga whale at Georgia Aquarium, Aurek, was safely moved to Shedd Aquarium in Chicago. Aurek, a 14-year old, 2,100-pound whale, is the father of adult female Qinu’s calf. Qinu, who currently resides at Georgia Aquarium, is nearing her due date and her animal care team has begun 24-hour-a-day observations to closely monitor mom-to-be. Male cetaceans (whales and dolphins) are not involved in the delivery process and do not play a role in the calf’s life. Female beluga whales usually raise their calf among other female beluga whales. What institutions learn from Aurek and the other beluga whales we care for can also inform us on how wild beluga whales might respond to a growing number of challenges in their native environments. Aurek continues to contribute to our growing scientific body of knowledge related to beluga whale health, care, reproduction and wellbeing. 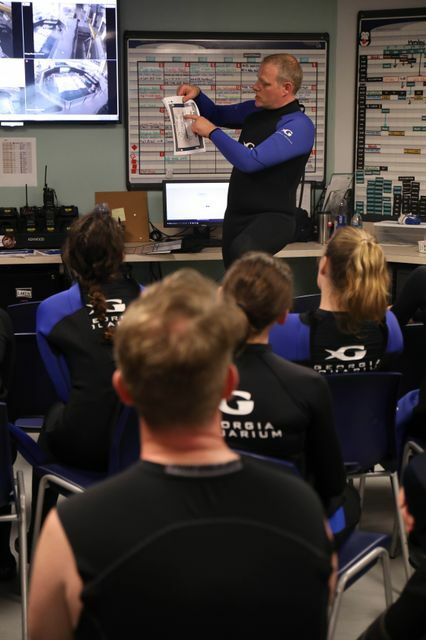 In addition to advancing our understanding of reproductive physiology, behavior and the early life stages of newborn calves that the North American beluga breeding consortium provides, Georgia Aquarium has been involved in beluga whale research in the field. Including in Bristol Bay, Alaska and more recently, in the Cook Inlet, Alaska. Earlier this month, Georgia Aquarium and Shedd Aquarium announced a partnership with several state and federal agencies and universities in Alaska to support new research focused on the at-risk Cook Inlet population of belugas to identify factors that are inhibiting its recovery. For updates on the beluga whales at Georgia Aquarium and how Aurek is doing in Chicago, follow Georgia Aquarium on Facebook, Twitter, and Instagram. Stay up-to-date on all Georgia Aquarium news at news.georgiaaquarium.org.